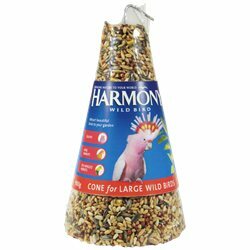 Specifically formulated high protein diet to enhance the nutrition of breeding budgies. 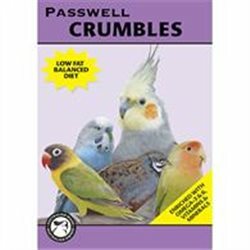 Enriched with omega-3&6, vitamins and minerals for improved egg quality and chick health. Can be used as a conditioning food for young, sick or malnourished budgies. 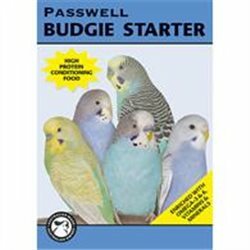 Mix 20g of Budgie Starter (2 level tablespoons) with 5ml (1 teaspoon) of warm water. Slowly add the water to the powder while mixing to form a moist crumbly mix (as per the consistency shown above). Do not make into a paste. Mix 10g (1 level tablespoon) of Budgie Starter with 20g (2 heaped tablespoons) of soaked/sprouted seed or finely chopped/grated vegetables. Prepare food fresh each day. We do not advise storing food in the fridge overnight as it can become contaminated with micro-organisms.